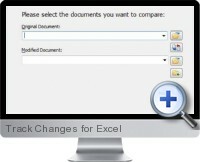 Track Changes for Excel (Workshare Compare) provides a comparison of entered values between two Excel files facilitating to track changes in environments where Excel documents are shared and used collaboratively. Track Changes for Excel utilizes an advanced spreadsheet comparison engine to accurately compare long and complex Excel spreadsheets. The application can identify inserted or deleted rows and columns in worksheets to deal intelligently with cells that have simply moved position within the workbook to reduce confusion. Compares two Excel spreadsheets for changes to entered values. Utilizes workbook colors and shows cell changes with color. Accelerates Excel spreadsheet review and collaboration. Produces a separate, easy to understand reports on changes.